Following the Mobile Student: Can We Develop the Capacity for a Comprehensive Database to Assess Student Progression? Presents a study of state-level databases on postsecondary student retention and completion rates and the feasibility of tracking students across state lines. Outlines challenges and recommendations, including establishing a common reporting standard. Copyright 2003 Lumina Foundation for Education. 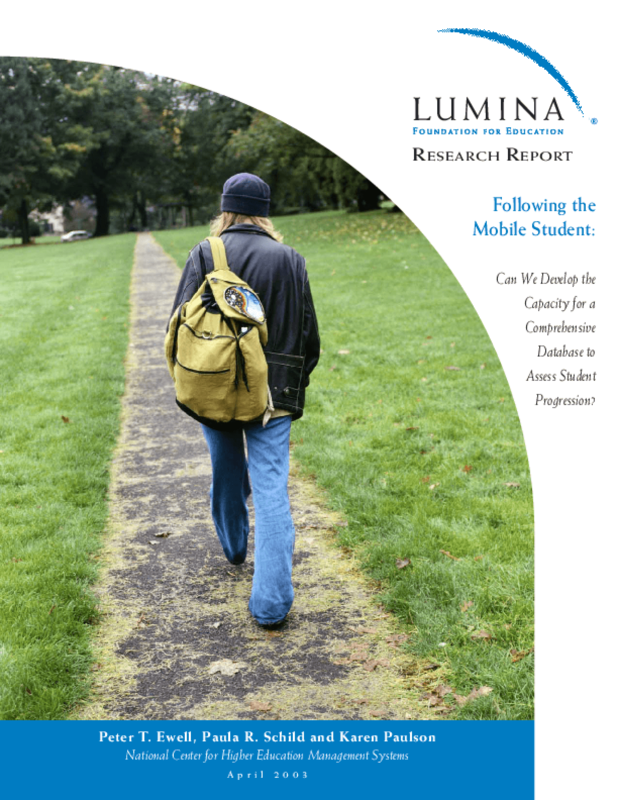 Title: Following the Mobile Student: Can We Develop the Capacity for a Comprehensive Database to Assess Student Progression?